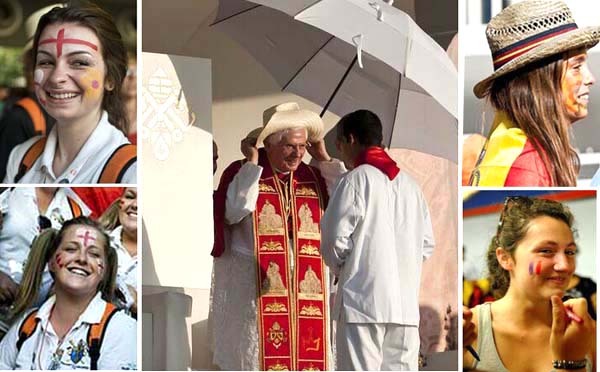 On August 19, 2011, after the main ceremony on the podium in front of the Cathedral of La Almudena, Madrid, Benedict XVI could not resist the temptation of entering into its Mardi Gras atmosphere of the WYD: He borrowed the cowboy hat of a pilgrim who came to greet him and placed it on his head sideways. In these clownish displays of headware he reveals himself to be a worthy successor of JPII. 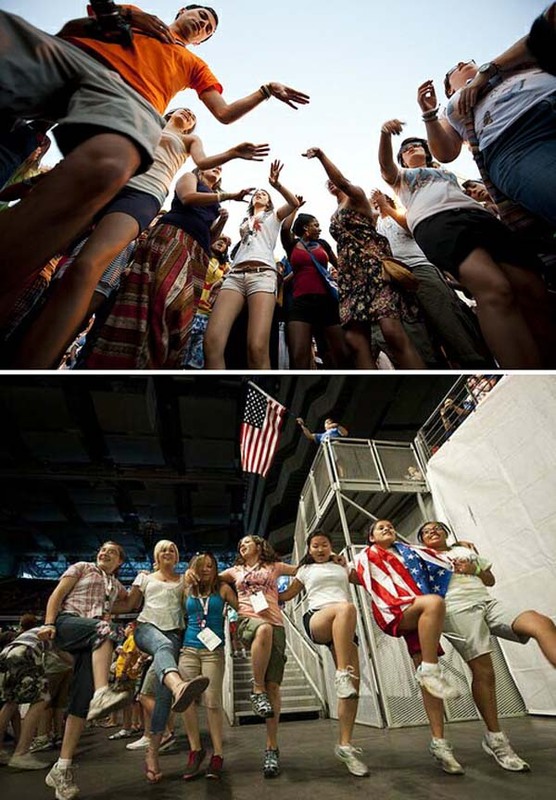 The youth present took the custom from hippy festivals of painting their faces, as shown in the shots of the young women above framing the Pope's photo. Below first row, we see that a Catholic dress code was not enforced by the religious authorities. The exposition of arms, legs and bellies grew as the temperature got hotter and jets of water were sprayed over the crowds to refresh them. 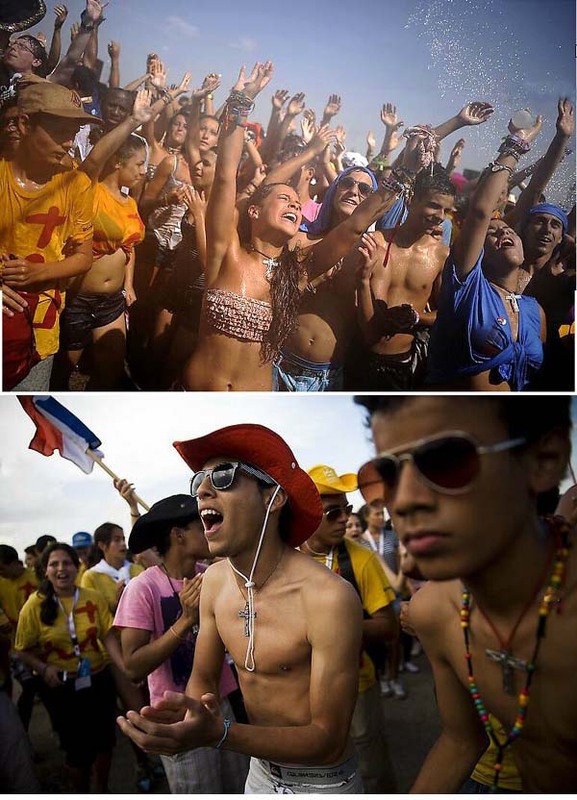 In the second row, another sample of the partial nudism that is taking over Catholic youth gatherings. Third and fourth rows, women's show of legs became habitual in the dances being performed everywhere at the WYDs. Yes, the Catholic Woodstocks continue, even if the Vatican pretends it is an inappropriate designation for the WYDs. 'Papal' Toilet Paper - A New WYD's Symbol?